Josep Puig i Cadafalch (1867-1956) was born at Mataró, a town located in the outskirts of Barcelona and as said on Modernism Theme Barcelona, he is one of the most famous architects of Barcelona. To discover his works, you will just need to walk on the street and undeniably, you will cross many of them so to do this itinerary, take at least 2 days. So ready to start your first day by visiting the Marti house (montsió 3), it is located near the portal de l’angel street at Ciutat Vella district. Built by Puig i Cadafalch in 1896, he gave it a medieval castle style mixing with the catalan modernist one. Surely you will appreciate the beautiful stained glass windows, the nice wrought irons, the particular sculptures… and if you are thirsty, take a drink to the bar-restaurant on the ground floor or just take a quick look inside before to leave. 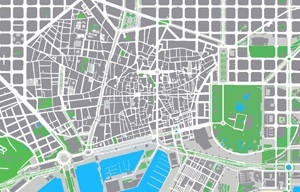 Now you will walk to Eixample district, exactly towards the catalunya square, just a few minutes from where you are. Once there, spot the number 9 where you will discover the Pich i Pon house. Originally, it has been built in 1910 by Josep Vilaseca i Casanovas and in 1921, the owner contracted Puig to renovate his house because he wanted to rent the 6 first floors to people and the upper floor as his new residence. So the architect designed flats structurally “unrestricted” in which each renter could allot according to his needs. Walking up the passeig de gràcia street until the number 41, you will find the Amatller house. In 1898, Antoni Amatller contracted the architect to reconstruct the house built by Antoni Robert in 1875. Working with the best artisans, it took the architect 2 years to create a house looking like a small palace mixing german and catalan gothic styles and it was declared in 1976 as a historic-artistic monument. Heading now to the Macaya house (1901) located at “passeig de sant joan 108”, he worked in collaboration with some talented artisans where you can appreciate great decorations on the white wall. Also take a look on the sculpture located at the left side of the main entrance, it represents the architect doing biking. 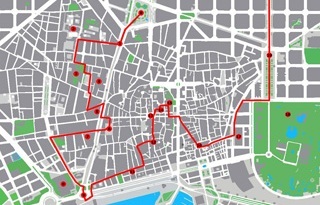 It was a wink created by one of his collaborators because in this time, Josep Puig was working in 2 buildings, this one and the Amatller house and to move between them, he was biking. In 1976, it was declared as cultural property of national interest by the Catalan government. 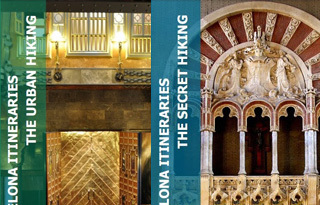 The following places are located near or all along the avinguda diagonal street so spot first the number 416. The Terrades house, also known as spike house, has been built in 1905 who gave it a kind of medieval castle with towers. In fact, it was 3 different buildings which formed a triangle and during the work, the architect decided to reunite them in one triangular block construction. The surname of spike house is given because of the conical cover of the towers ending in spike. The baron Quadras asked the architect Josep Puig i Cadafalch to reform a block of buildings and between 1902 and 1903, he created the Baró de Quadras palace (avinguda diagonal 373). The particularity of the building is that it has 2 different fronts. The one from the diagonal avenue reminds the north european gothic palace with its bust sculptures from medieval and renaissance people. The one from the rosselló street kept the old structure and decorated with some viennese elements. Since 2003, the building is the head office of the Asia house where each year is celebrated the asia film festival for example. The architect designed the Serra house (rambla de catalunya 126) in 1903 as a small palace with the idea to pay a tribute to the Gralla building, a renaissance house destroyed during the 19th century by creating the main door and the decoration of the windows as exact copies with the help of the best artisans. You will also discover 3 medallions representing the busts of Cervantes, Fortuny and Wagner, a tower looking like a medieval one and beautiful glazed ceramics. The Catalan government declared it in 2001 as cultural property of national interest. Next, the Pere Company house (buenos aires 56-58) has been built in 1911 on which he mixed some viennese elements but due to some recent renovations from other architects, some original works have disappeared and actually, it is the Melchor Colet sportive museum and research center. 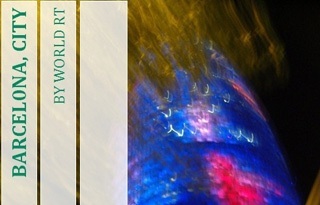 Leaving the district, you will enter and end your day to the Sants-Montjuïc district. 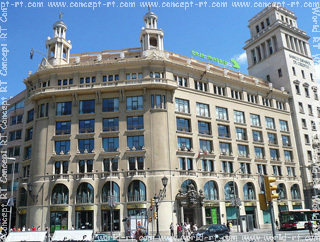 Walking from this building for about 30 minutes, you will arrive to the espanya square. If you don’t want to walk, take the bus 27 located at diagonal avenue and get off at the plaza espanya station (last stop). The square has been built during the 1929 International Exposition of Barcelona in collaboration with Guillem Busquets but finalized by Antoni Darder. The Mediterranean sea with the Ebro river representing by a young and athletic man surrounded by teenagers. The Atlantic ocean with the Tajo and Guadalquivir rivers representing by 2 old men surrounded by teenagers. The Cantabrian sea with a group of teenagers representing the short and rapid rivers of its river basin. the Casaramona factory (avinguda francesc ferrer i guàrdia 6-8) which has been built between 1909 and 1912 and the architect won in 1912 the prize of the best artistic building of the year which is now the head office of the CaixaForum Barcelona. the Alfonso XIII and Victoria Eugenia palaces (plaza marqués de foronda) which have been built between 1918 and 1923 in collaboration with Guillem Busquets. It consists of 2 pavilions structured with 2 big semi-detached naves without windows so the only way for the sunlight to get in it is through the skylight roof. You will discover beautiful columns inspired by the baroque style and the access porches reproducing the front of the Caldes de Montbui church. The 4 columns of 20 meters high (plaza marqués de foronda). Built in 1919, it symbolized the 4 red sticks of the catalan flag but during the reign of the dictator Primo de Rivera, he ordered to destroy them. Rebuilt during the 21st century, they have been inaugurated in 2011. The reconstruction has been done by respecting the original concept of the architect and at the same original place. For the second day, you will pass the whole day to Sarrià-Sant Gervasi district. From catalunya square, take the FGC train L6 to reina elisenda station then the bus 34 to avenida josé vicenç foix (cardenal vives i tutó-caponata) stop. 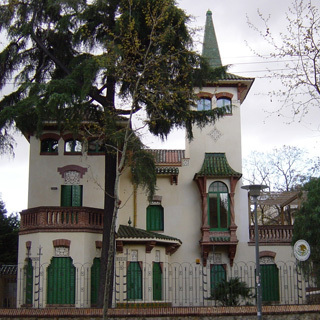 Here, you will find the Sastre i Marqués house (cardenal vives i tutó 29) which has been built in 1905 and you will see a building with simple decorations. Particularly, you can skip it except if you are curious or if you are a fan of this architect. Taking back the bus, you will head back to the FGC train not to take it but to take the bus 75 to passeig bonanova (escoles pies-iradier) stop. In 1911, the Morocco sultan, Muley Afid, contracted the architect to build his house known as the Muley-Afid house (passeig bonanova 55). The place has many terraces and balconies and you will discover beautiful glazed tiles of green color but also a garden and a tower. Actually, the building is occupied by the Mexico Consulate. Once done, take back the same bus to avinguda tibidabo stop (last stop) then the “tramvia blau” (blue tramway) to avinguda tibidabo (dr. ribas perdigó-josep garí) stop to discover the Muntades house (avinguda tibidabo 48) which owns some undulated fronton characteristics with an ornamental motif on the top. The white wall is decorated with floral drawings running all along the openings of windows, doors and the crowning outline. Now for the last visit, take back the tramway to plaza dr andreu stop (last stop) then take the funicular to tibidabo. Once you are on the top of the Tibidabo mountain, walk down a little the main street to spot the Pastor de Cruïlles tower (carretera vallvidrera al tibidabo 102-104). The Castillo-Torrente marquise, Mercedes de Pastor de Cruïlles, contracted the architect in 1908 to build it and it is also known as the Roserar. In 1961, the Tibidabo temple acquired it and changed it from a familial house to a spiritual house called Mater Salvatoris with its 3 chapels and its 80 rooms including meeting rooms and auditorium. Since 2004, it is the geriatric residence of Our Lady of Fatima. After that, you can go back to the downtown by doing the opposite way or enjoy the rest of the day in the amusement park of Tibidabo. Whatever your decision, I recommend you to enjoy the great view on the city before leaving the place.